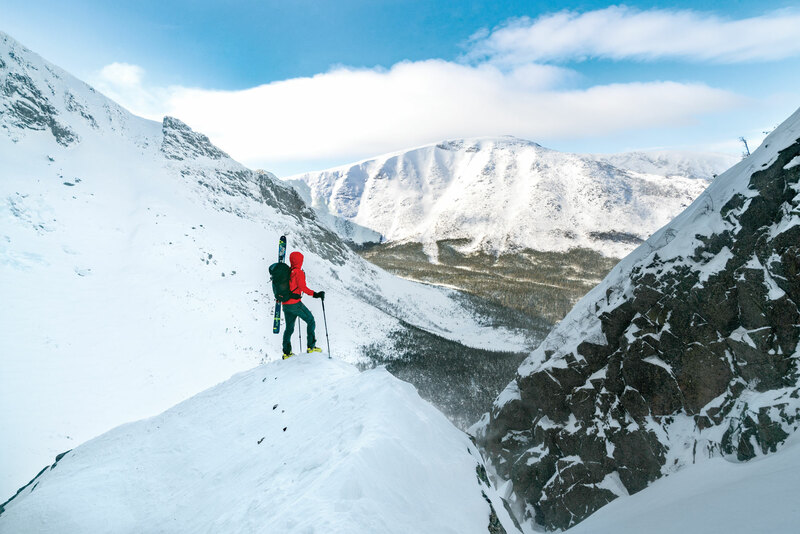 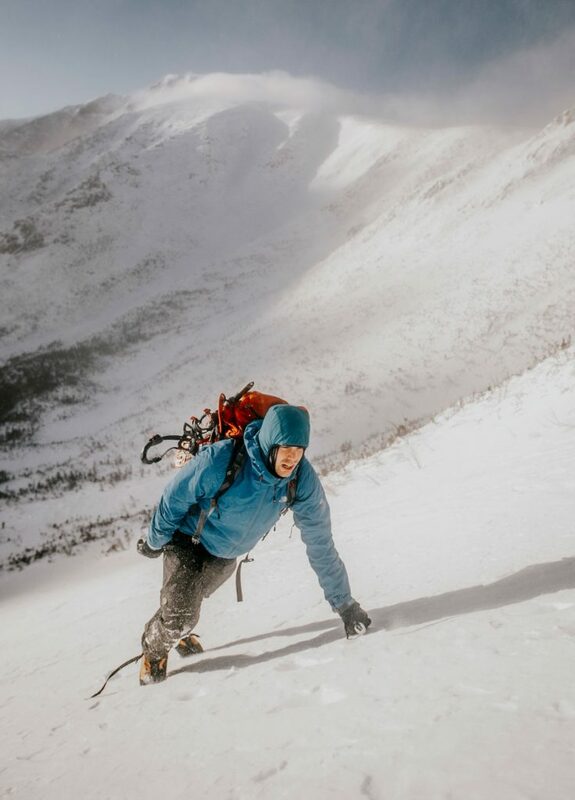 Skier Andrew Drummond takes in a view of Katahdin’s Hamlin Ridge. 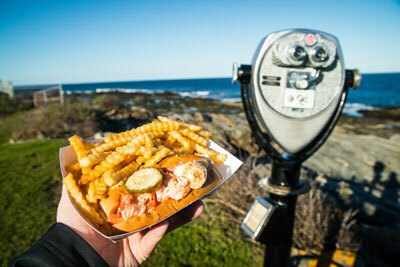 Photographed by Chris Shane. 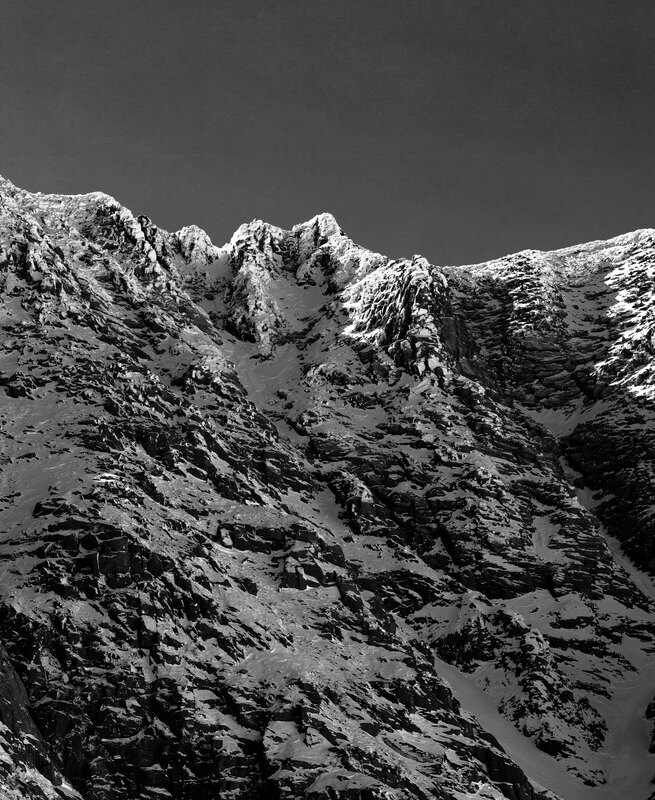 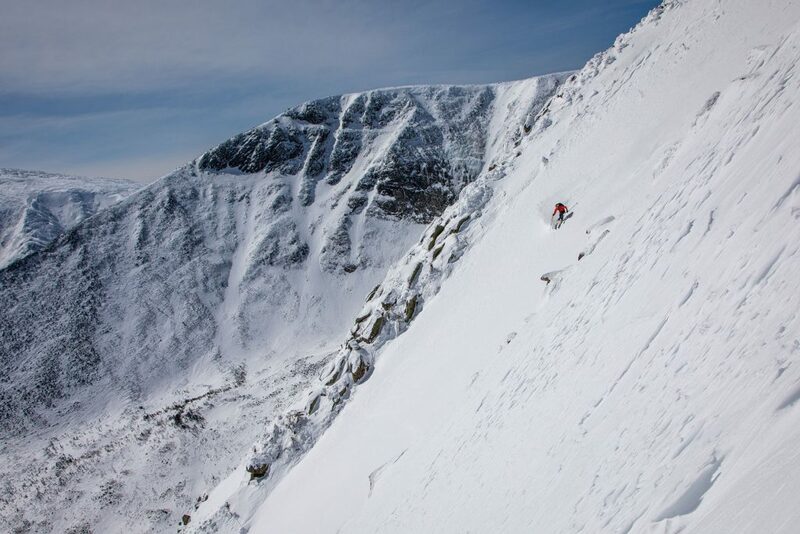 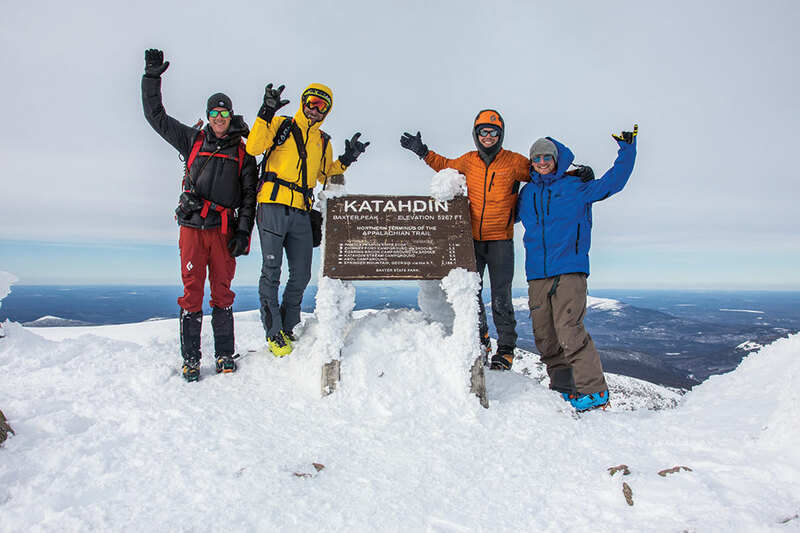 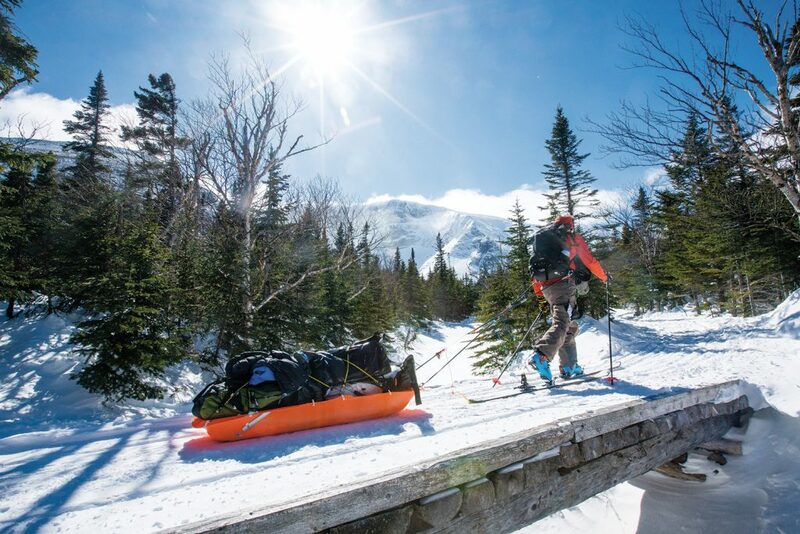 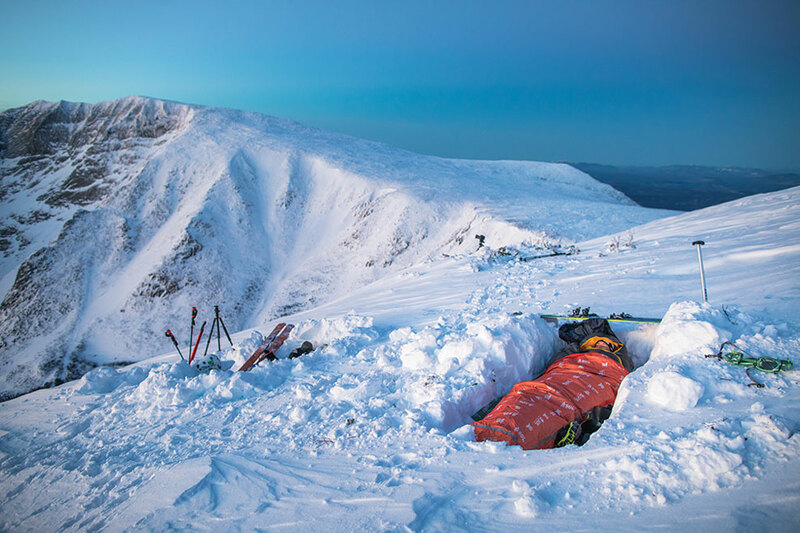 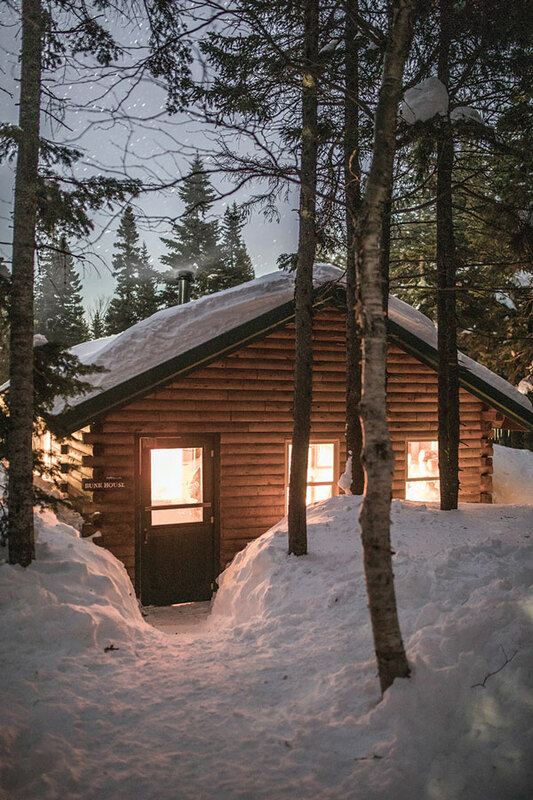 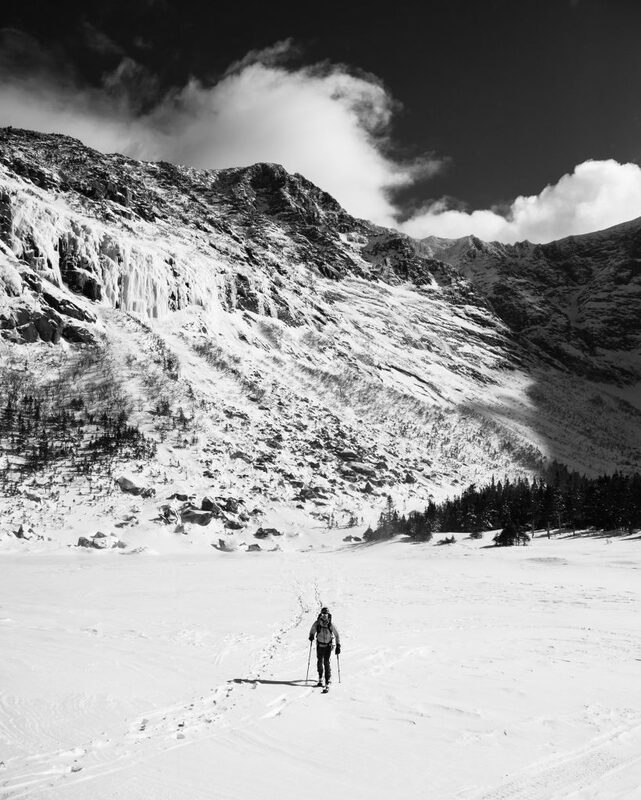 In winter, northern Maine’s mile-high KATAHDIN is a rugged, spectacular world apart. 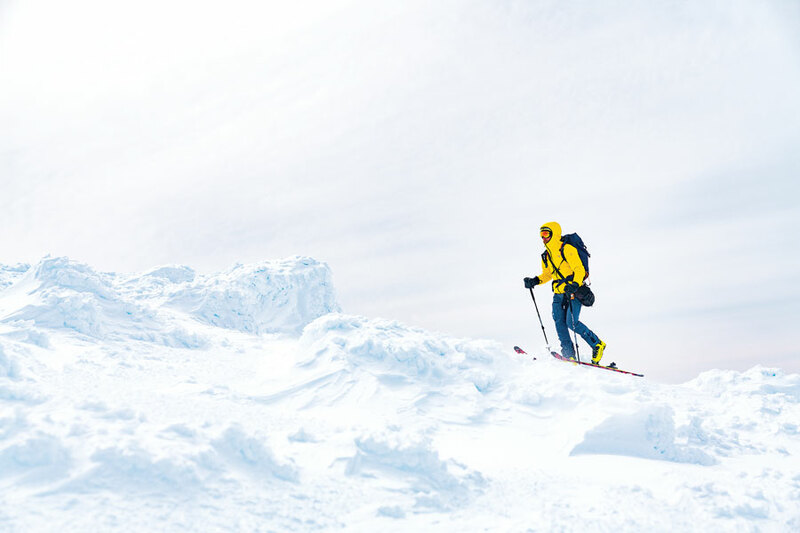 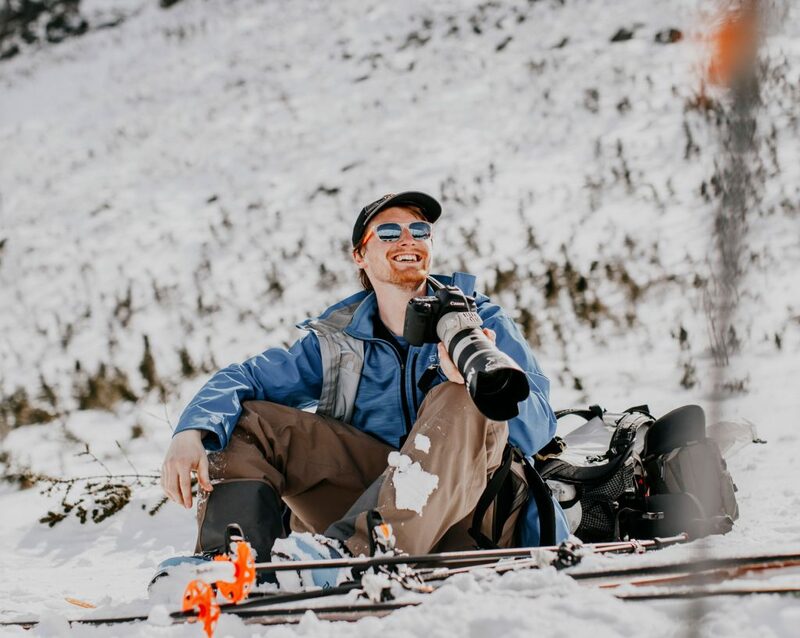 When four friends set out to ski it, the trip represented a physical challenge and a spiritual feat. 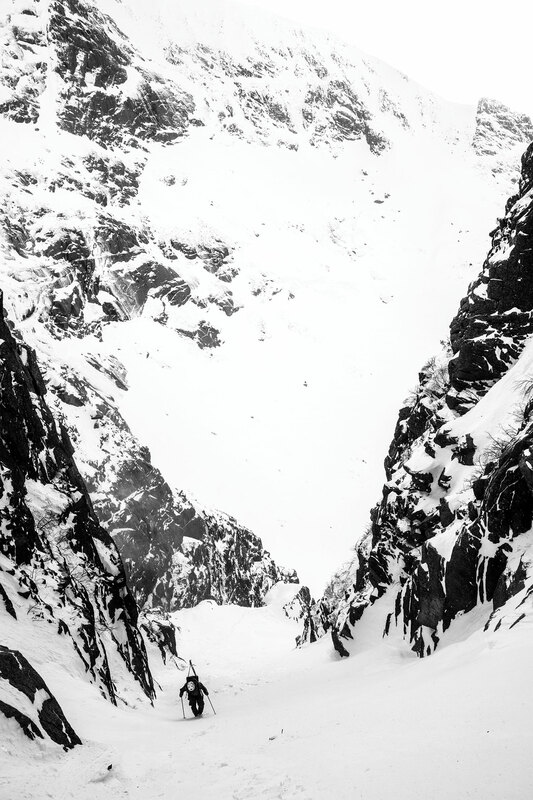 The photos they brought back offer a glimpse of “The Greatest Mountain” as few ever see it. 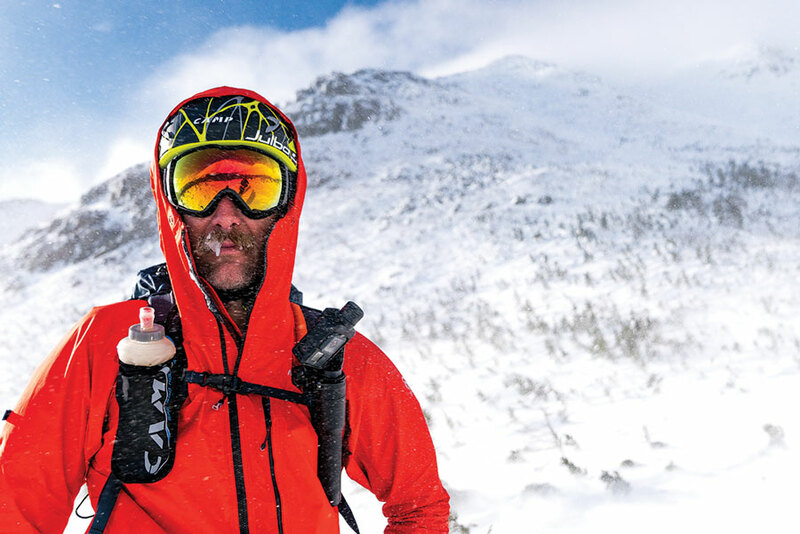 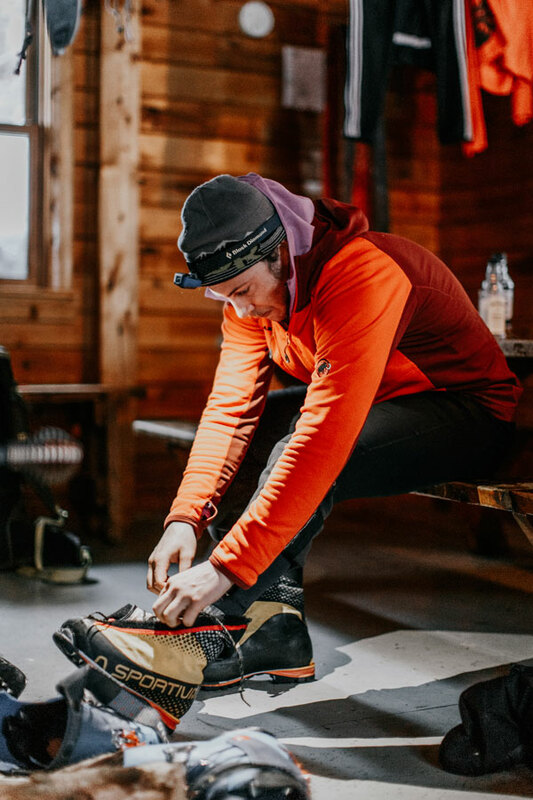 Photographed by: Chris Shane (skier and sled); Jamie Walter (portrait, planning table, cabin); Chris Bennett (booting up). 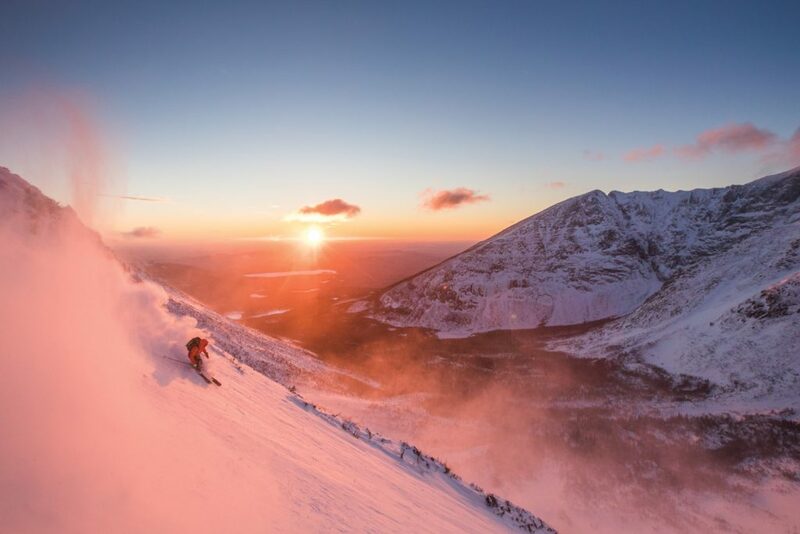 Cargill gets first turns at dawn. 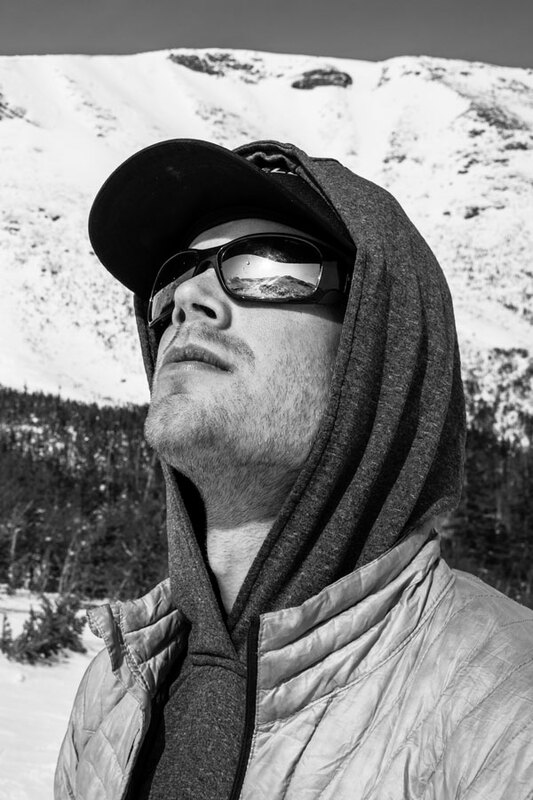 Photographed by Jamie Walter.